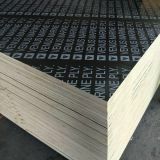 11 PLY PLYWOOD SHEETS NOW IN STOCK! 18MM film faced plywood finds application in conditions of high temperature drop, influence of moisture and detergent cleaning. 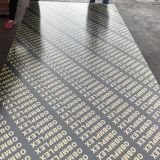 It has lightweight, resistant to corrosion attack, easily combined with other materials and simple in processing. 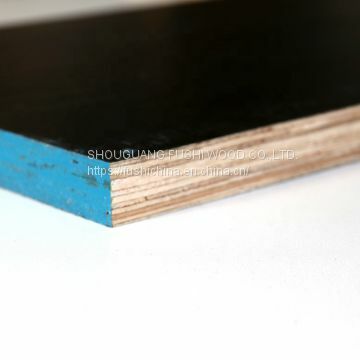 Film facing of plywood and edge treatment by waterproof paint ensure the water-and wear-resistance. 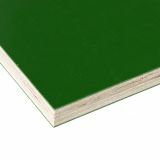 Local wood types – Poplar and Lime provides special durability of the panel, coating with high-quality import films ensures hardness and damage resistance. 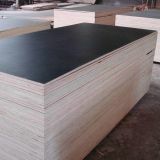 These properties make our marine plywood irreplaceable in conditions of the open environment. 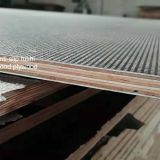 Edges are painted in gray (color is optional) including Silicon to make sure the products airtight. 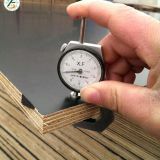 2) Demold: easy to demold, even if after being used 25 times. 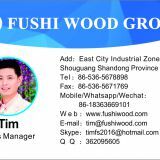 Please do not believe any account change information, and be sure to confirm with us before you pay. 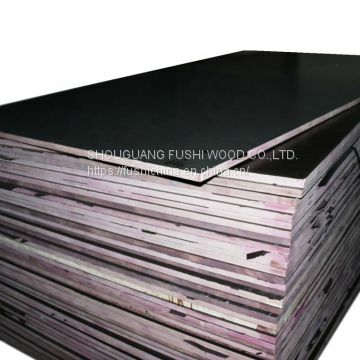 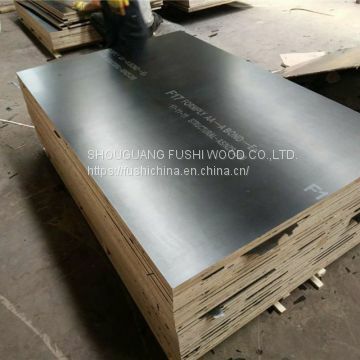 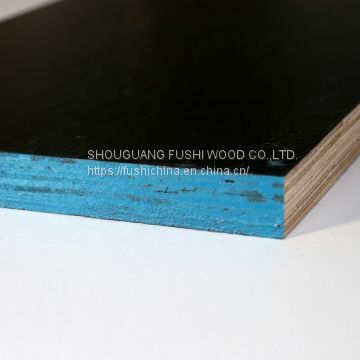 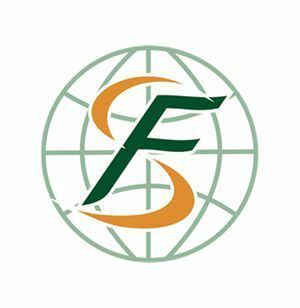 INQUIRY ABOUT WBP GLUE black/brown film faced plywood panel for construction from fushiwoodSHOUGUANG FUSHI WOOD CO.,LTD.